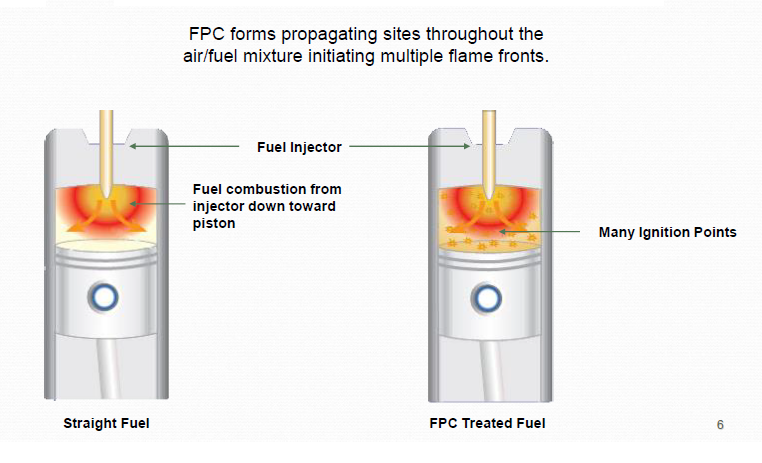 FPC is a catalytic fuel additive that makes fuel burn more efficiently, even in a brand new engine. Increasing performance in a brand new engine is something other fuel additives just can't do. The active catalytic ingredients in FPC make it 2% to 4% more effective than other fuel additives. 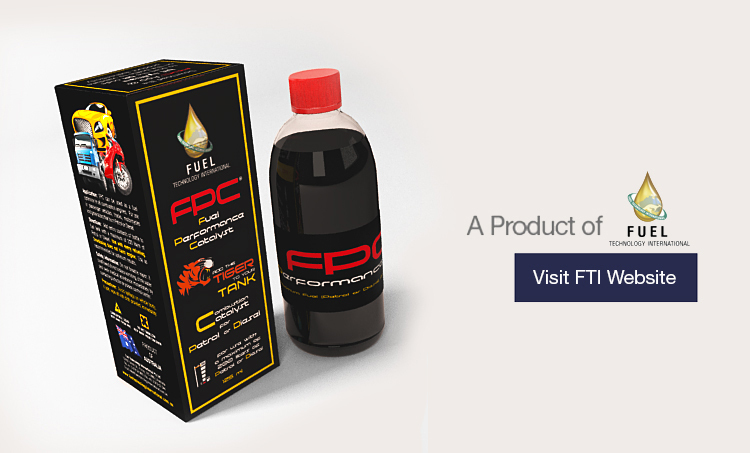 FPC is a combustion enhancer that readily disperses in any liquid hydrocarbon fuel to play a catalytic role during the combustion process. As scientifically accepted, some elements act as catalysts and help promote combustion. FPC contains ions in the form of Ferrous Picrate (Fe++) proven to be one of the most effective. The vehicles on which strict figures were kept proved that the saving in fuel alone, from 42.6 litres per hundred kilometers to 38.2 litres per hundred kilometers was worth the cost of using FPC-l, let alone the other advantages such as power increase, less carbon contamination, longer oil life and better engine output and starting. The average weekly fuel used round trip on my International on my weekly run (since Jan. 9) was 1110 gallons. After adding FPC, the gallons I used in that truck dropped to 942 gallons for the same weekly trip. At today’s price, that is a savings of $461.00 per week for just one truck I own. Robert Schultz - Schultz Express Inc. I had been averaging 14.6 miles to the gallon. Now that I am a regular user of FPC I am averaging 21 miles to the gallon.